No matter which industry or phase of business you’re in, you’ve likely given thought to what a dedicated server London service could do. How will it increase your productivity, backup your files, and streamline your workflow? But with so many options out there, it can be hard to find the best Dedicated Server London and we mean world class. In this post, we’re breaking down everything you need to know about what a full control uk based dedicated server London can offer. We’ll also tell you how you can find the one that’s the best fit for your company. Wait, What’s A Dedicated Server? Before we tell you what you need to look for in a dedicated server London, let’s first be clear you know what one is! A dedicated server is a physical one that’s housed within the data centre of a web hosting business. This data centre also manages internet services and other relevant software. Then, you can create your own system within the dedicated server. Things like customised software, platforms, and operating systems. Fortunately, you don’t need to worry about running or updating your system, creating backups, nor about the daily operations. Instead, that’s the job of your dedicated server London service. All you have to do is pay a small fee every month or so. This means that it’s pay-as-you-go, usually without much upfront cost. Plus, since you don’t have to run these updates and maintenance steps on your own premises, you can avoid other costs relating to power, security, space, and more. There are many benefits that these services offer. When you’re looking for a dedicated server London service, you need to insist that the company you want to work with offers these. Greater RAM space and memory, which allows you to run data-heavy applications and websites. Better and more advanced customisation, as there aren’t restrictions on what software you install, nor on how you choose to customise it. Control panel to easily allow you to full control the server and operating system. How Can I Find The Best Dedicated Server London Has To Offer? Now that you know some of the most basic benefits of a dedicated server, you likely have lots of questions about how to go about determining which one is the best fit for your company. As we mentioned above, if you’re working with a dedicated server, you need to be seen as a priority. Your computer doesn’t have problems or crash according to your schedule – and you shouldn’t have to wait around to get the support you need. If your dedicated server doesn’t have support teams on hand 24/7, it’s time to move on. Support should be available to help your team navigate any and all dedicated server issues. You don’t have time to waste on waiting around for your server to get back to you – work on your own schedule, and no one else’s. This is one of those things that really should be standard but isn’t always. Because of the frequency of DDoS Attacks, you need to work with a dedicated server that makes protecting against them a priority. In addition to helping you sleep a little easier, you’ll also face less downtime in the recovery process. Your dedicated server should have data redundancies and built-in, automatic backups. If you’re really serious about security, go with an option that offers you a 100% uptime agreement when it comes to network operations and power. Because in the event of a disaster, you want your business to be able to keep running. Make sure you’ve also worked to find a dedicated server that will let you backup the server data, for an extra level of security. This doesn’t just mean that your dedicated server is on call when there’s a problem. We’re talking about finding an option that is taking care of the day-to-day maintenance of your operations, so you don’t lose half a day running updates and installing new software. Usually, you’ll want to look for a server that has both Linux and Microsoft certified systems. The last thing you have time for is compliance problems. The final item on our list of what to look for in a dedicated server London? One that’s up-to-date for all your compliance needs, as well as the compliance regulations for dedicated server hosting. Make sure you bring this up in any conversations you have with potential servers. 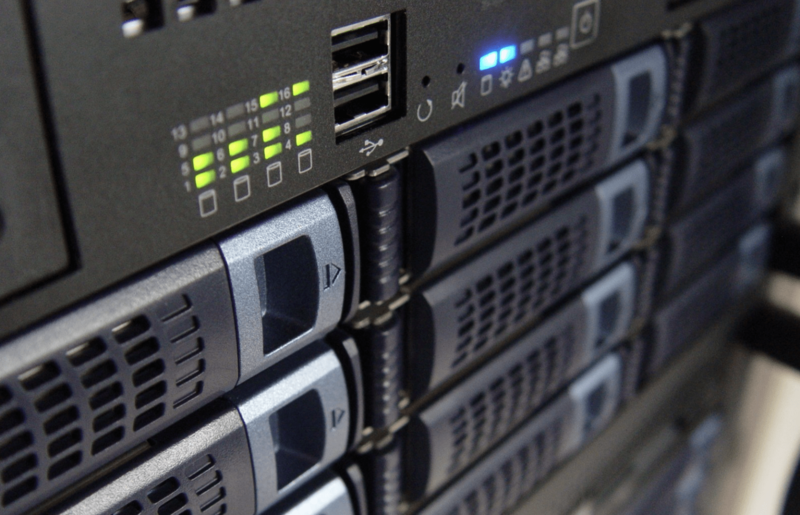 Dedicated servers are versatile, cost-effective, and can save you tonnes of time and stress in your office. So, how do you go about getting one? How Can I Find The Best Dedicated Server London Can Offer? A good server is one that’s able to answer all your questions, anticipate your needs, and is up to speed on all the latest industry news and trends. So, where can you find that option? We’d love to have the opportunity to speak with you to tell you a little bit more about the kinds of products and services we offer. In the meantime, we invite you to spend some time on our website and blog, so you can see for yourself the way we do business.